When it comes to reading, Harry has always been a bookworm. He often has his head stuck in a book and reads at an advanced level (he's just finished Stephen Hawking's book and is currently reading Lord of the Rings). I'd never need to encourage Harry to read a book as he just does it naturally. As he reads quite lengthy/detailed books, he does take his time and gets through one book every few weeks. Heidi was never really into books throughout her early years, she much preferred to play outside and make her own adventures. 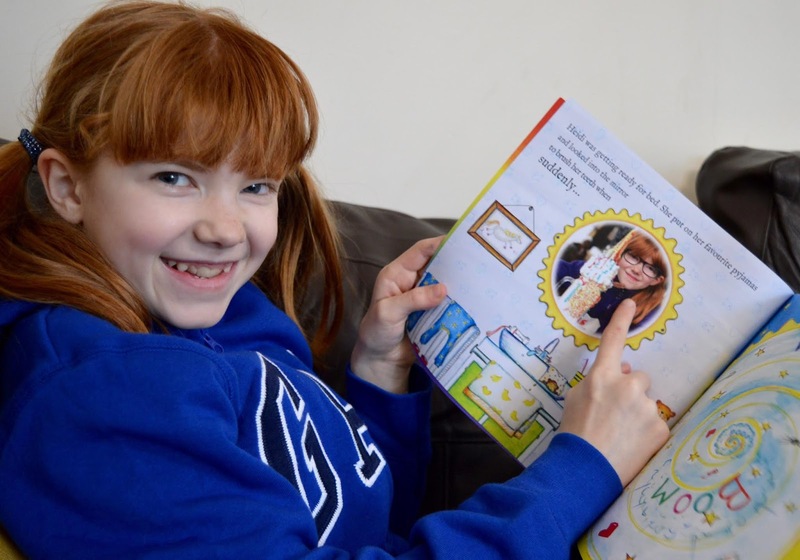 It was only after a couple of author visits to school that her interest was piqued and it's only at age 9 that she's developed a real love for reading. Heidi reminds me of myself when I was younger and will just sit and read a whole book from cover to cover without stopping. I'm so pleased she's developed a love of reading, better late than never. Jack is my most reluctant reader. We do try and encourage reading as much as we can but sometimes the struggle is real! I have learned not to push it too much though and he reads at school. I just have faith that he will see us and his siblings reading and one day he will develop a love for reading for fun too. There's still time! 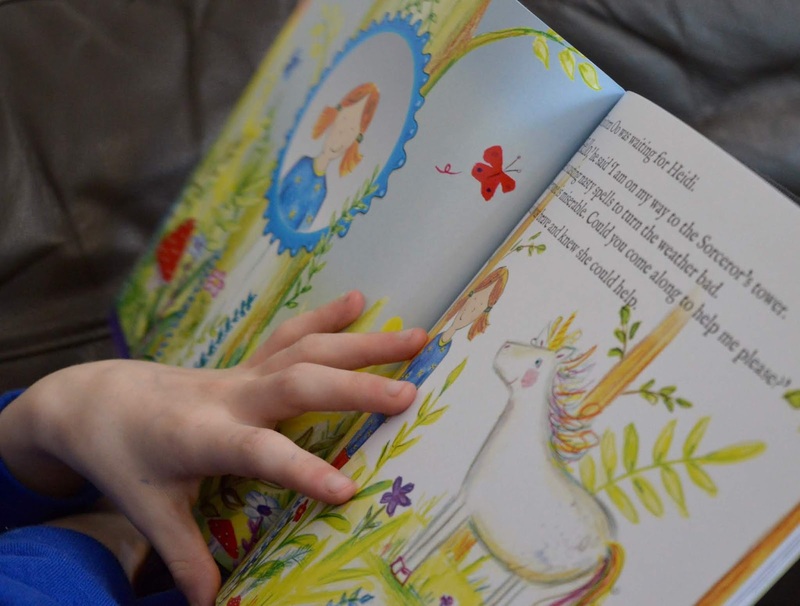 I once used to sell books as part of my job and I honestly believe there is no greater gift you can give a child than a gift of a fantastic book. Books are one of the only gifts you can give to all ages and my children always receive new books on their birthdays and special occasions. In the digital age I expected they might switch to reading from their iPads and Kindles but we are very much still a 'team proper book' kind of house. 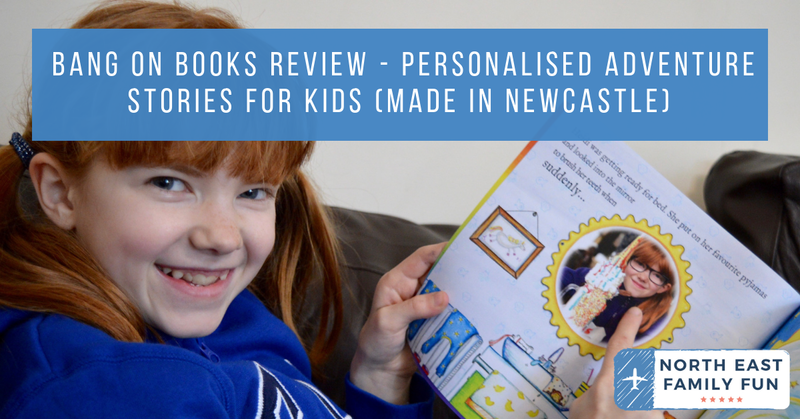 When Bang on Books got in touch and asked us to review their personalised books, I agreed as it was something I knew my children would be interested in and I know many parents are always looking for new gift and book recommendations too. 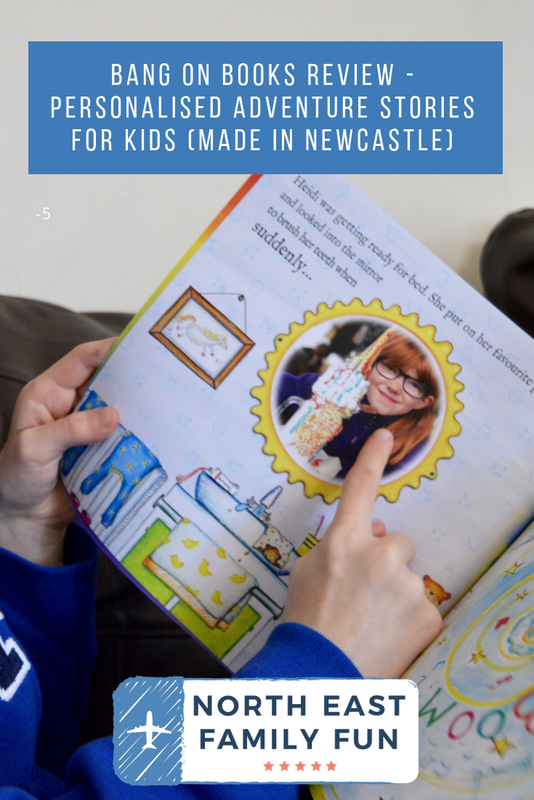 Bang on Books are based in Newcastle and it's lovely to support a local company too. 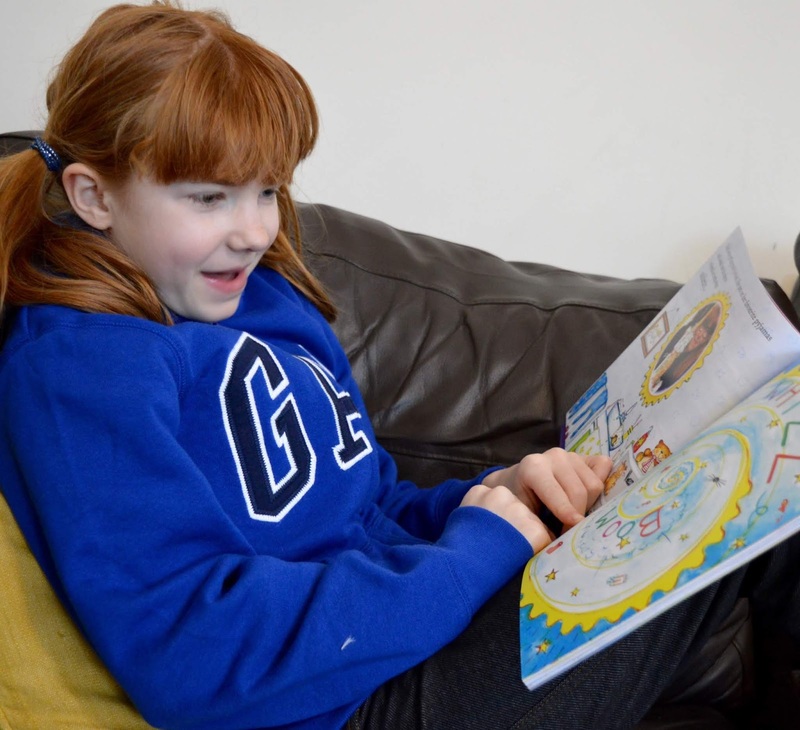 Bang on Books are a Northern company based in Newcastle Upon Tyne specialising in personalised adventure books for children. Their stories are a little longer than similar books I've tried in the past and are ideal to be shared and read aloud. I'd recommend for ages 2-10 years but it really depends on the child. 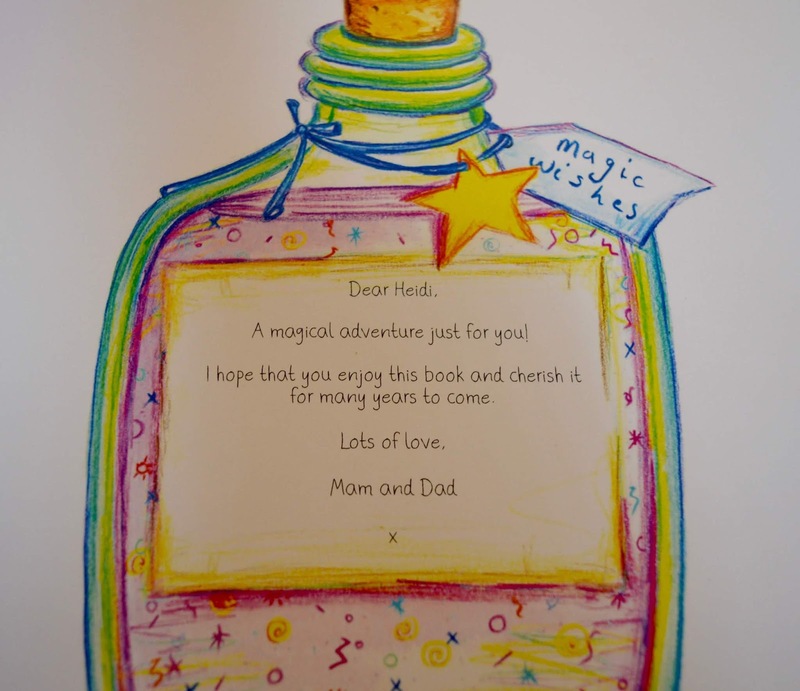 Heidi turns 10 this month and absolutely loved her personalised 'Unicorn Oo' book - I think she'd still have been happy to receive this book at age 11 too. Bang on Books cost £17.99 each but are currently on offer for £14.99. They are more than I'd normally pay for a regular book, but for a special birthday, Christmas or Easter gift which is produced by a local, small business, I'd be happy to pay this. Price can be very subjective and I guess we all have different budgets when buying gifts. £15-£20 is at the very top end of my normal gift-buying budget and in this case, I'd be happy to pay top price as I know I'm supporting a local, small business and the product is of high quality too. Follow the Bang on Books Facebook page for more special offers and news. The thought of ordering personalised gifts often puts me off if I'm honest. I have visions of it taking absolutely ages and when I'm short on time, a personalised gift is not normally at the top of my go-to list. 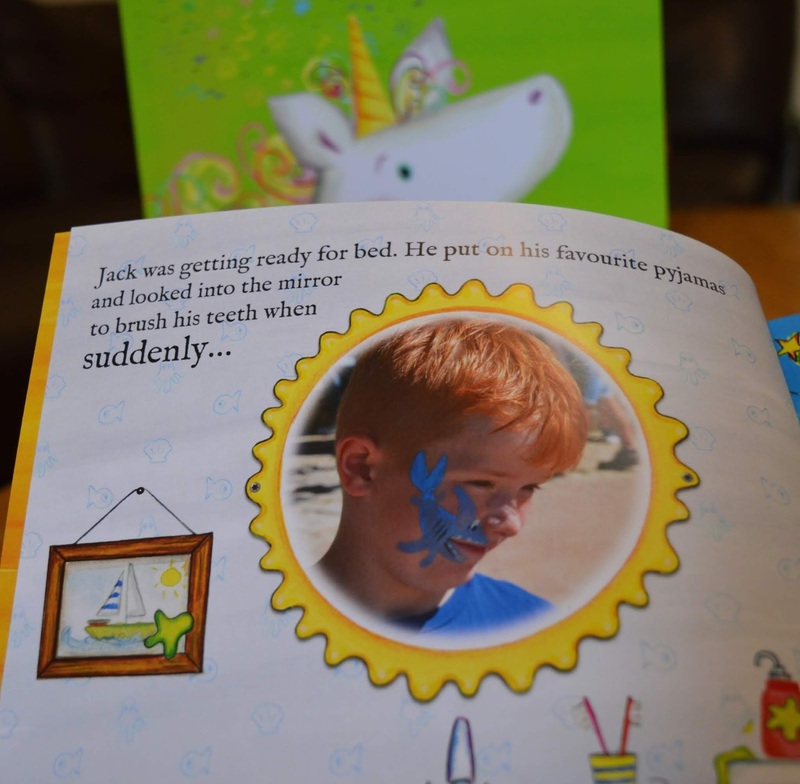 Bang on Books are so simple to personalise though and you can complete the whole process in around 3 minutes. Ideal if you're looking for a personalised gift on your lunch break or even in the adverts during your favourite tv show. 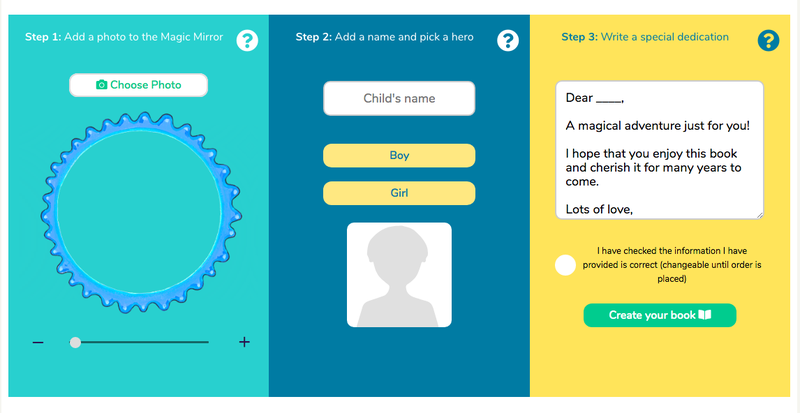 You simply upload a photo when prompted, type in your child's name, choose a character that most looks like them and add a personalised message. There are even pre-written messages if you need some inspiration. Books take a few working days to arrive and are posted through your letterbox like a normal letter so no need to wait in for delivery. As far as user-experience goes, the Bang on Books website receives a massive 10/10 from me. 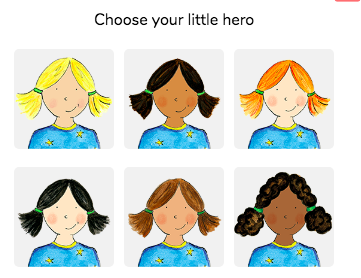 Top marks for including a diverse mix of characters to choose from too - even redheads. 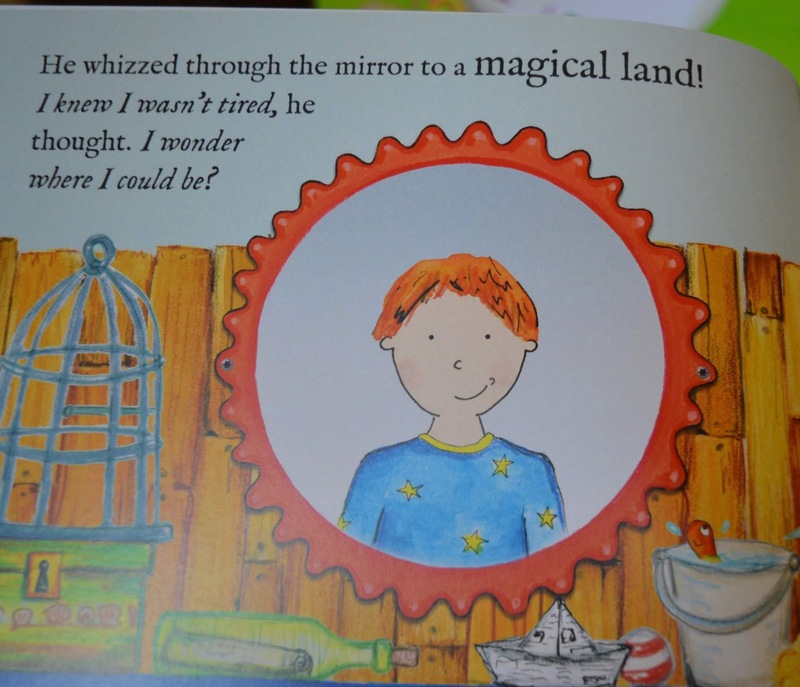 Top Tip - The stories begin with your children looking into a magic mirror after brushing their teeth. I'd try and choose a photo of them facing forward and if you have one of them wearing their PJs, even better. I didn't proof read the whole story before ordering and in hindsight think I picked the wrong photo for Heidi. She didn't notice though and just loved the fact that she starred in a unicorn adventure. "Heidi looked in the mirror to brush her teeth when suddenly she was transported to a magical world where she had the best of adventures. 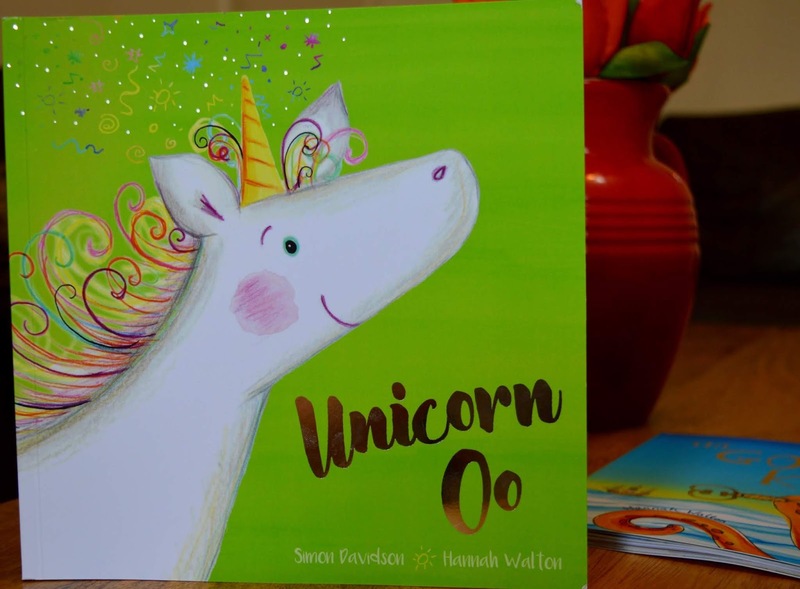 Heidi met a unicorn called 'Oo' who needed Heidi's help. 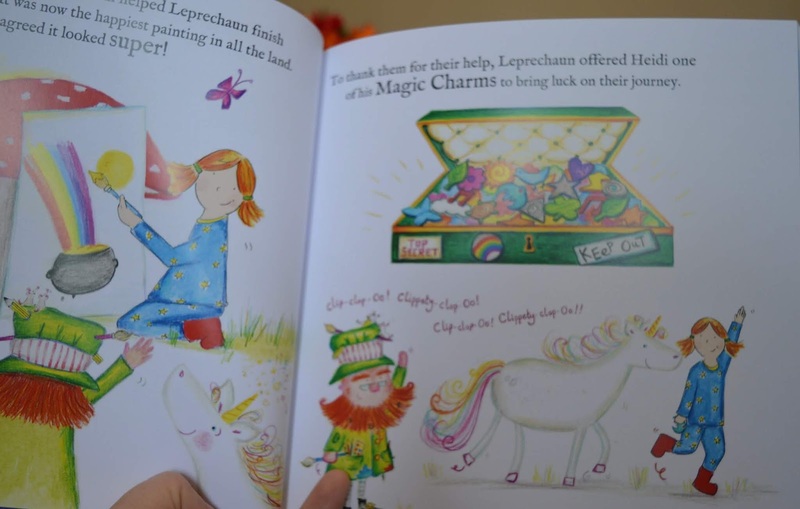 She met lots of magical characters along her adventure including a leprechaun, troll, wizard, mermaid and dragon." Heidi liked that in the end all of the wizard's friends came to play with him and he banished bad weather. She loved that the story ended with her looking in the mirror too. 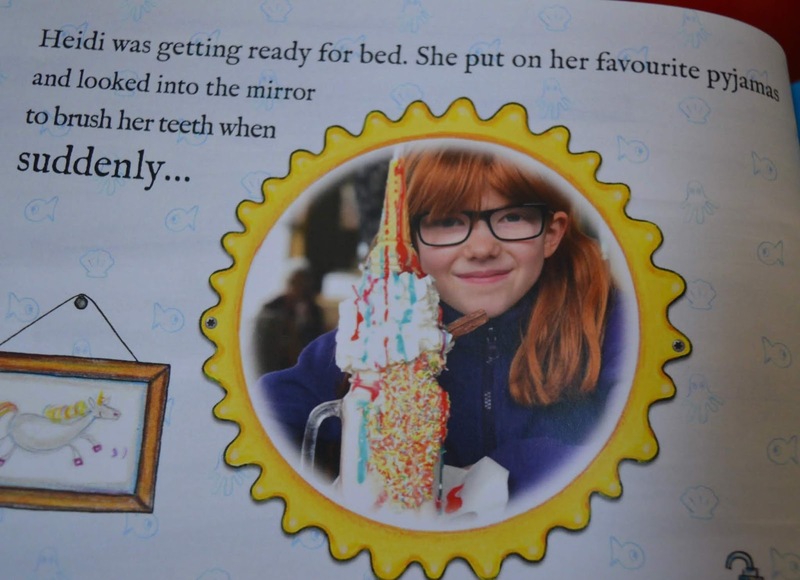 You can see that Heidi is delighted with her book and she adored the personalisation - it really is a special touch, especially as there aren't many stories (apart from the obvious) starring somebody called Heidi. 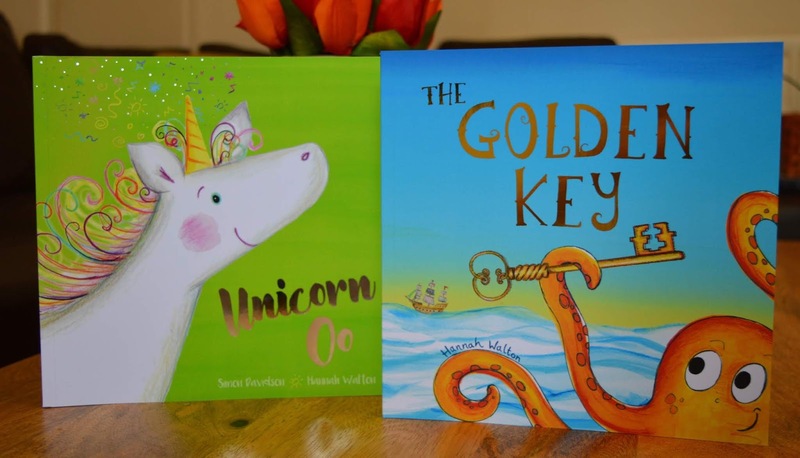 The books feature a soft cover, metallic title embellishment and a fun font. Despite not being hardback, they do feel like they're high quality and a book which will last. 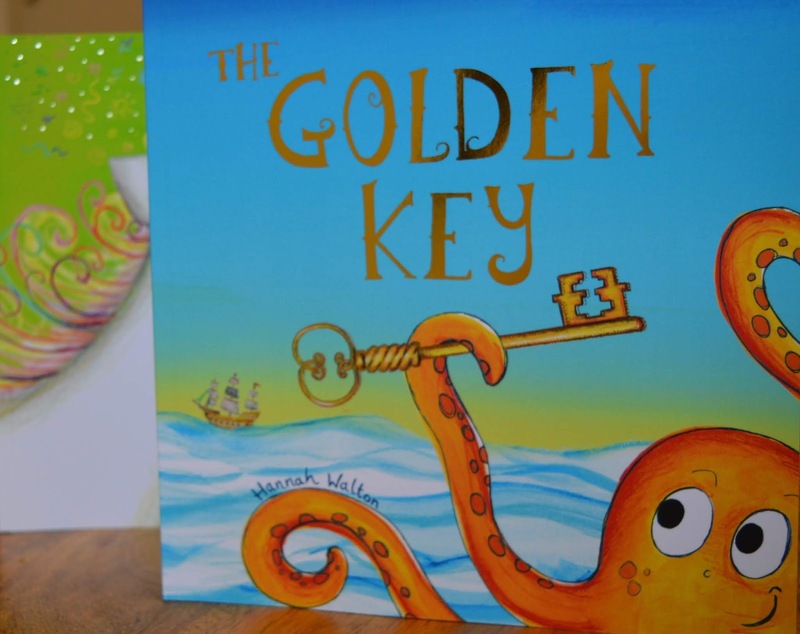 This book is perfect for children who love pirates and sea adventures. Jack and Heidi enjoyed reading this book together and it was a real page-turner. Jack didn't want to be photographed today and I have to respect his wishes but take my word for it that he thoroughly enjoyed the book. 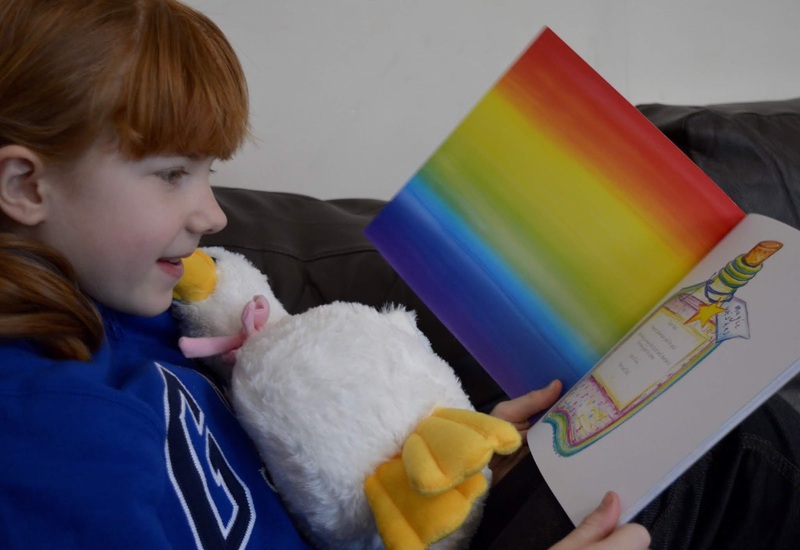 As a reluctant reader, the personalisation factor definitely encouraged him to read the whole story and stopped him from losing interest. 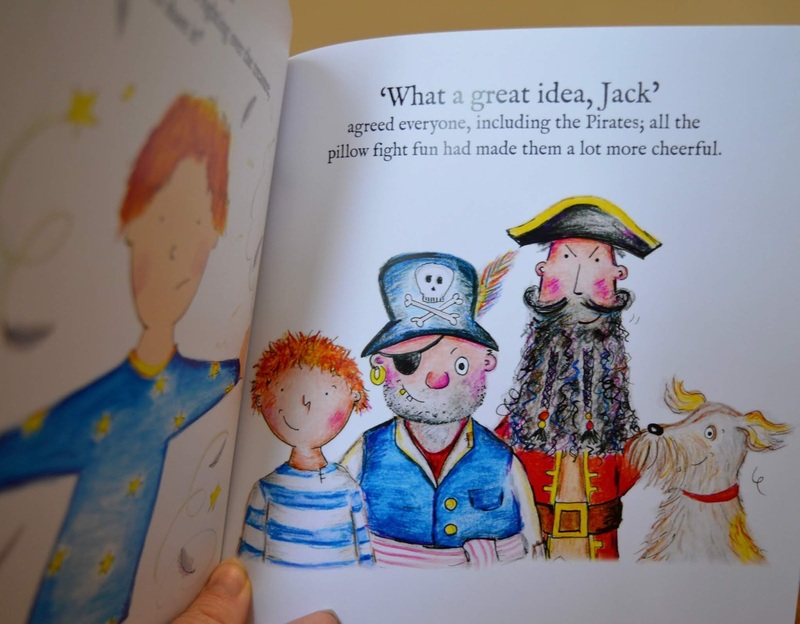 There are lots of fun characters in this story including a sailor, parrot, lucky dog, tabby cat and two rival pirate crews. There's a giant octopus too. who was a real favourite - he sneezes which results in everyone being covered in snot! This is a really fun read and Jack's favourite part was when their boat is blown away so they need to catch a turtle taxi across the sea. Imaginative storytelling at it's best and an ideal length to read at bed time. 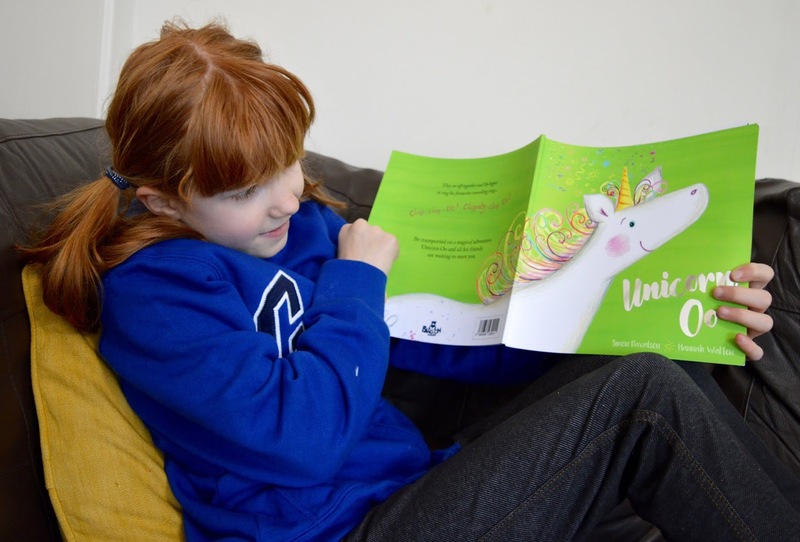 I was really impressed with Bang on Books - they are super easy to order, my children loved the personalisation, they're a wonderful book to share together at bed time and the quality of the story and illustration is really good. 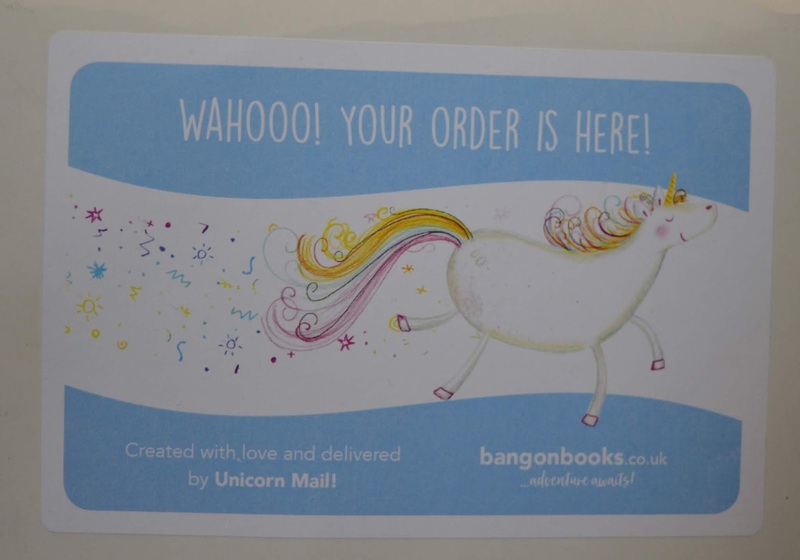 Next time you're looking to shop local for a children's gift and support a local business at the same time, why not consider Bang on Books? Books can be posted throughout the UK and are also perfect if you want to post directly to the recipient. You can find out more and buy online here. Aww! What an adorable looking book. 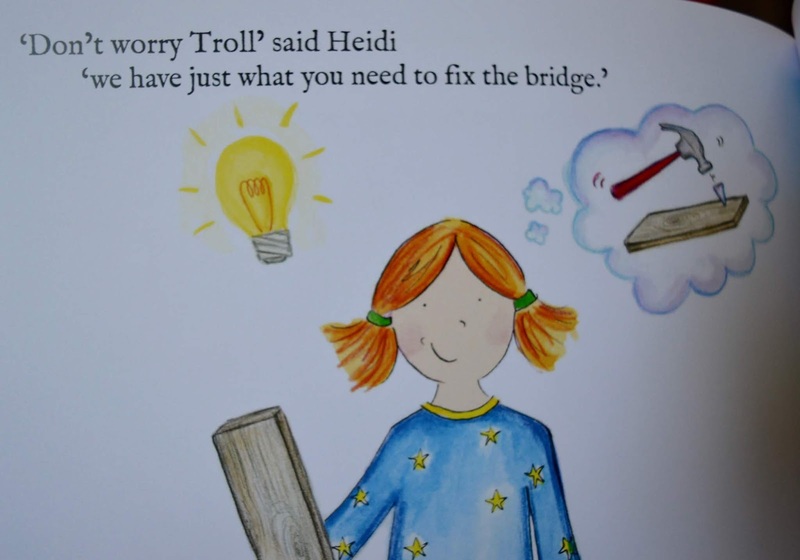 Heidi looks so pleased with hers.